Our service area as shown above is approximate. 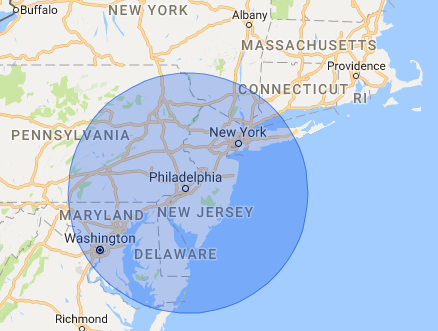 Please contact us if your location is outside the blue circle, to see if we can help you. We are mirror professionals. You can rely on Pro-Bond to give you the best top-quality work at the best price. We provide a lifetime warranty on our work and are known for our reliability. We’ll work with your needs to design an ideal layout which will not only take care of your needs but will also add to the welcoming appearance of your space.